These days, UFC events come fast and often. 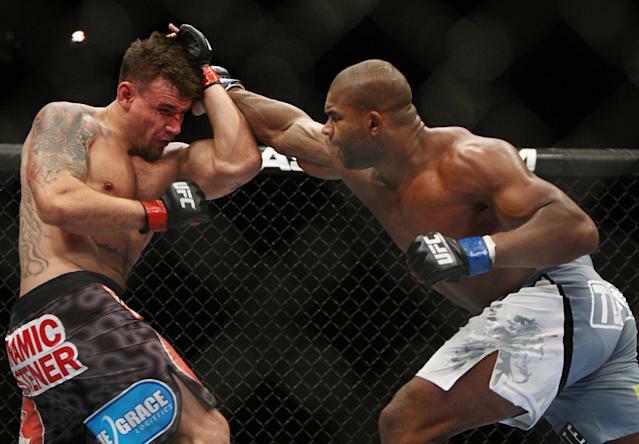 UFC 177 was this past Saturday but this coming Friday there will be another UFC card taking place. UFC Fight Night: Mashantucket will feature a main event between middleweight contenders Ronaldo "Jacare" Souza and Gegard Mousasi, a heavyweight clash between Alistair Overeem and Ben Rothwell and a featured bout between exciting lightweights Joe Lauzon and Michael Chiesa. If you're surprised to have learned of this card just now, make sure to check out the Countdown special above, which takes you inside the camps of some of this Fight Night's biggest stars. Then, stay with us all week for more coverage of the Fight Night fighters and the event itself, on Friday night.